1. Which States Don't Have State Income Taxes? 3. What States Have the Lowest Tax Rates? At one time, personal property tax was a popular way for state governments to collect the money they needed to operate. Just as you pay property tax on your home, in these states you were responsible for paying an annual tax on high-dollar property you owned such as cars, boats and recreational vehicles. But gradually, states have moved away from that practice, choosing instead to go with a flat wheel tax to register vehicles each year. Florida is one of the states with no personal property tax at all, but until 2007, the state did have an intangible personal property tax, which primarily affected the state’s wealthiest residents. It was reduced and eventually repealed, though there are a couple intangible property exceptions that are still taxed. Florida’s intangible personal property tax was phased out in 2007, but until that time, it taxed items like investments and life insurance. Most personal property tax refers specifically to tangible property, which is, by definition, property you can touch. Tangible personal property includes items like cars, equipment, furniture and tools, so understandably it’s often applied to businesses. However, in states with tangible personal property tax, even residents must pay annual taxes on their personal vehicles, increasing the cost of living in states that have that requirement. Real estate falls under the category of tangible personal property, but it is taxed separately from personal property. In contrast, intangible property is property you can’t touch. For personal property tax purposes, this refers to investments like stocks and bonds, patents, copyrights, life insurance and partnership interests. At one time, taxes on intangible personal property were commonplace across the U.S., but starting in the 1980s states began pushing to repeal these laws. From 1956 to 1986, personal property shrunk from more than 25 percent of the tax base to just over 15 percent, making it such a minor tax revenue source, lawmakers began to question its value. Taxation of Florida’s intangible personal property dates back to 1924 when local municipalities began imposing taxes on it. However, the state took over administering the tax in 1972. Each year, Florida taxpayers were required to determine the market value of items like certificates of deposits, trusts, retirement plans, franchises and real estate mortgage investment conduits, then pay a tax based on that value. At the time the tax was repealed, it had reached 50 cents per $1,000 of valuation, which was actually a reduction from the $1 per $1,000 taxpayers had paid before. Single filers could claim an exemption of up to $250,000, while the exemption rose to $500,000 for married filing jointly. One of the biggest problems with the intangible tax was that the state’s residents were able to easily avoid paying it. They simply directed their personal property into one of two types of irrevocable trusts, known as Florida intangible tax trusts or Florida intangible tax-exempt trusts, each of which were sanctioned by the state’s department of revenue. Additionally, since the exemption rates were set so high, only Florida’s wealthiest residents were responsible for paying the tax each year, making collections a minuscule part of the overall tax base for the state. Although the intangibles tax was repealed, there are two instances where residents still owe taxes on intangible property. One is in the value of intangible property secured by mortgage deeds or other liens on certain property. This tax is $2 per $1,000 and is generally paid whenever the debt is recorded. Another instance where intangible personal property tax comes into play is when a Florida taxpayer leases property that is owned by the government to a nongovernmental entity. This tax is charged annually and is based on the value of the property as of Jan. 1 of each tax year. The rate is 50 cents per $1,000 and is only due if $60 or more is owed. Although the answer to, “does Florida have personal property tax?” is “no,” businesses must still pay tangible personal property tax to the state. In Florida, tangible personal property refers to any item other than real estate used in the commission of business, including rental property you own. This means if you run a business in the state, the items you use for that business are subject to taxation, including computers and smartphones, furniture, supplies and signage. At the start of each tax year, Jan. 1, businesses owning tangible personal property must assess the value of that property and determine whether its fair market value exceeds $25,000. If it does, they’re required to pay tax on the amount over $25,000. Whether you receive a letter from the state or not, you’re still obligated to file if you exceed the exempted amount. If you receive a letter and you don’t owe taxes, you can simply return it with an explanation. However, if it’s your first year in business, you’re required to file regardless of the amount of property you own. Business owners are not defined by size, so even small businesses may be responsible for paying taxes on personal property, provided the items they own exceed the minimum fair market value required for filing. Although there’s no intangible tax Florida residents need to worry about, there is a property tax they’ll pay on their homes and any real estate they own. Florida’s property taxes, on average, are 1.1 percent of a home’s total value, which puts it slightly below the national average. However, Florida falls close to the middle when it comes to overall property tax rates, since it’s well above the lowest tax rate of 0.28 percent, in Hawaii, and well below the 2.29 percent in property taxes New Jersey residents pay on their homes. Florida is unique in that a great deal of its tax base comes from the many tourists who travel to the state each year. Additionally, the state sees a large number of “snowbirds,” who spend winters there in property they own or rent to take advantage of the warmer weather, then return home for the summer months. For that reason, full-time residents are granted the benefit of a homestead exemption, which allows them to pay lower taxes than those who either own rental property or only live in their homes seasonally. When taken into consideration overall, Florida is a great place to live, tax-wise. The state ranked as having the second-lowest tax burden in the country, and that tax burden has steadily declined since the 1950s. The state is one of very few that has no state income tax, which means residents only have to worry about filing a federal return at tax time. The state makes up for collecting less from residents through a base sales tax of 6 percent, which can go as high as 8 percent when local jurisdictions add on their share. With such a large population of temporary residents and visitors each year, this helps bring in a steady flow of income so that governments can fund the services they provide. Another benefit to living in Florida is that there is no tax on investments, which is a nice surprise for those who might have been concerned about the intangible personal property tax of the past. This isn’t the case with all of the other states that don’t impose an income tax on residents. Tennessee, for instance, has no state income tax but takes 6 percent of earnings from investments once that income exceeds $1,250 per person. Residents aren’t the only ones who benefit from Florida’s tax structure. Businesses in the state pay less than many other states in the country, especially those that are smaller in nature. Traditional corporations, also known as C corporations, are the only ones that pay state income tax, although all businesses are still responsible on a federal level. This means sole proprietors like the self-employed can launch a business and even grow it to multiple employees with no state tax burden. As a company grows, it will eventually register as a C corporation and begin paying those taxes, but this gives them relief at the start. Corporations in the state pay a 5.5 percent corporate tax on income that is taxable on a federal level. However, the first $50,000 in income is exempt from those state taxes. Additionally, exemptions can lower the amount of tax a corporation owes the state, even as it is growing and thriving. In addition to the large number of tourists Florida sees each year, the state is also growing at a fast pace, ranking as the fourth fastest-growing state in the country in 2018, with a population of more than 20 million. This large customer base, combined with the tax breaks, makes Florida a great spot to locate a new business. You may not have to pay taxes to the state of Florida for your intangible property, but that doesn’t release you from that obligation altogether. The federal government will take an interest in any money you make on your investments. If you put money into the stock market, you’ll owe taxes on any income you make when you sell the stocks you bought. The tax is called a “capital gains tax” and it affects many intangible assets you may own. The IRS is interested in taxing the income you’re earning on your investments, not the mere fact that you own them. However, intangible property can also benefit you when you file your taxes. If you sell your stocks at a loss, you can claim that capital loss and use it to reduce your taxable income. Income you earn on intangibles like employee stock options, real estate investment trusts or savings accounts will be taxed at your normal income tax rate. The Tax Cuts and Jobs Act brings good news to Florida residents, many of whom will see a reduced tax burden over at least the next few years. The new laws change the tax brackets, lowering the percentage in taxes many people will pay on the income they earn. The new laws also increased the standard deduction, which will also reduce many people’s tax burden. 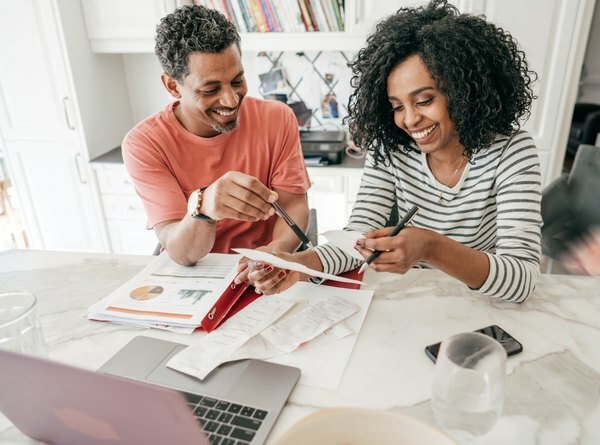 For couples who are married, it will finally be OK to file taxes jointly, since the marriage penalty has been dissolved for any couple earning less than a combined $400,000. The good news for Florida residents is the new law capping itemized deductions for state and local taxes won’t impact them as much. They’ll still be able to claim their home’s property taxes, assuming they itemize, but Florida residents won’t have to worry about state income taxes pushing them over the $10,000 limit. This likely won’t apply to many taxpayers anyway, since the standard deduction of $12,000 per person means many filers won’t need to itemize at all. Florida’s business owners should also pay close attention to the new limits on the amount of income sole proprietors can pass through their personal taxes. This may drive some Florida business owners to register as a C corporation, but they’ll have to weigh the federal tax benefits against the potential to qualify for paying state taxes on the income they earn. Florida Watchdog: Study: Florida has 2nd lowest tax burden in U.S. The Motley Fool: Is There Tax on Investment Income in Florida? Time: How Are Stocks Taxed?